In sport, establishing goals will shape your daily training sessions and your competitive career focus. In life, creating a bucket list of amazing experiences to do before you die, provides life enrichment. 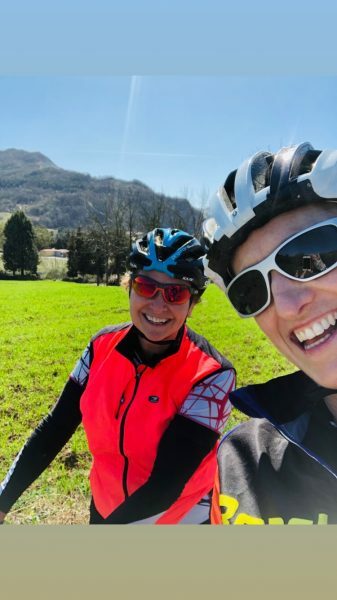 Coach Lucy and Jenny shared “cycling in Italy” on their bucket lists. 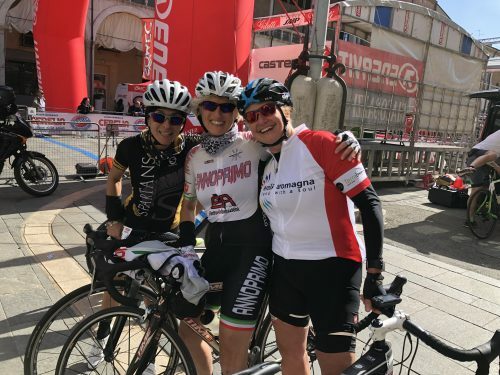 Recognized as cycling influencers, they were recruited to join a press trip for cycling by Emilia Romagna Tourism and Terrabici Cycling Tours to experience the Emilia Romagna region of Italy. The cycling tour included a professional guide to navigate the region, wine tour and Gran Fondo race. Was it the perfect time in our lives to implement the bucket list item? No. Did we want to explore our Italy bucket list? Yes! 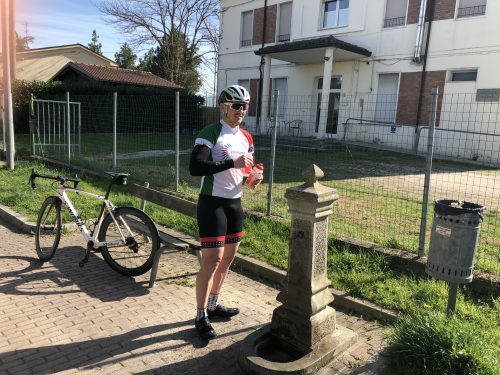 Our first Italy recon ride prepped our jet lagged bodies to switch gears to ride and feel better. It was only 30 km but did wonders for us. We loved seeing the fruit tree blossoms, surrounding mountains, and breathtaking views. We met our tour leader Alessandro Malaguti – former professional racer, now coach and tour ride leader. 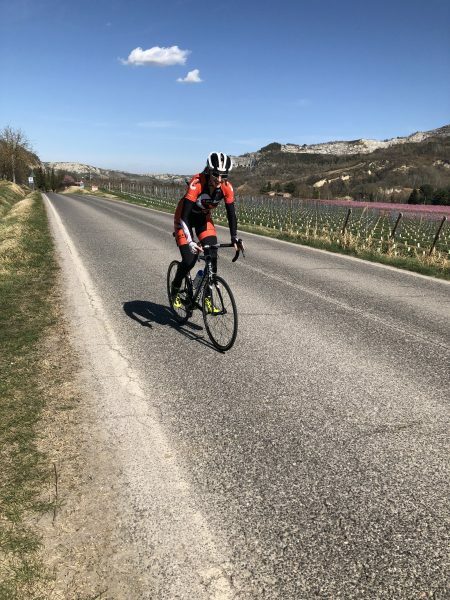 We explored parts of the race course, epic climbs, dialled our descending skills for switchbacks and started to develop an understanding for this region of Emilia–Romagna (ER). Davide Cassani Grand Fondo consisting of either 85km course or 130km course with climbing ranging from 1400 to 2000m. We were honoured to be a part of the ER tourism team and Alessandro positioned us right at the front of this race season opener ahead of 1800 cyclists. We met race organizer, Italian National team Coach and President of ER tourism, Davide Cassani. Davide is a legend in cycling and in his country. His most prestigious results included two stage wins of the Giro d’Italia stages and three time winner of Giro dell’Emilia race. In Canada, he was second in the 1992 Grandprix de Montreal. His leadership and passion for cycling is obvious, making huge impact on both development and national team athletes. Meeting Davide checked off another bucket list item. 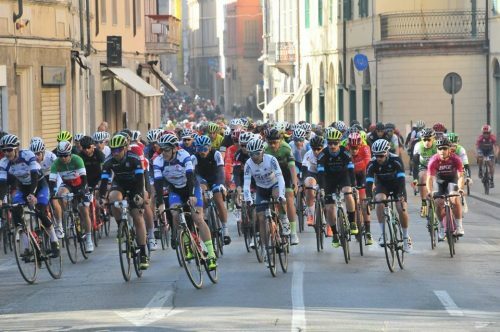 The first 20km of the race was full on focus to navigate the winding streets of Faenza, varying levels of abilities, self manage our nerves and keep our Canadian bodies on Fondriest bikes safe. The first climb nicely separated the field of cyclists. Self pacing was needed to manage our fitness up the 8 km climb which averaged 10% grade with .5km of 15% grade. We found Italian cyclists to be friendly and good bike handlers and we each found groups to ride and suffer along with with. 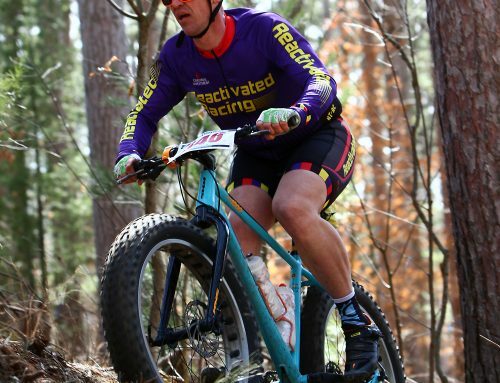 Each coach had great experiences riding this course. 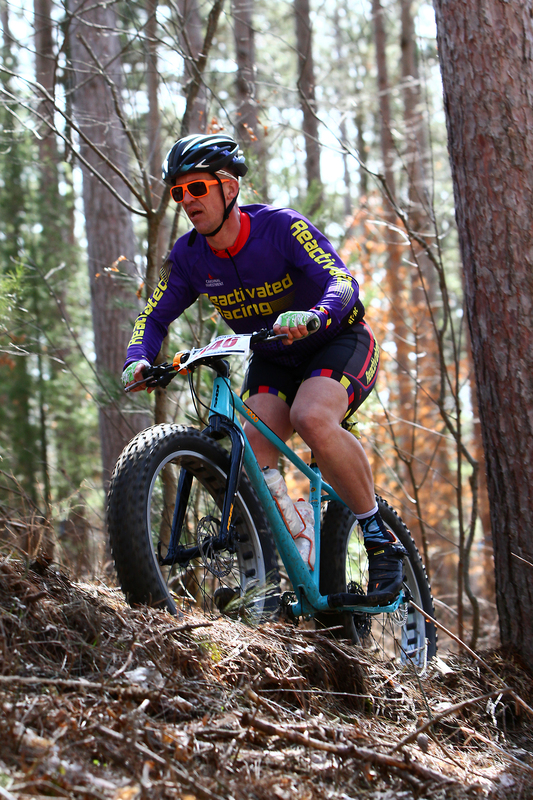 The race had a blend of difficult climbs, epic descents, and flats. Alessandro had a big role of organizing us, providing technical course info, descriptions and course and recommendations for all of us. On each technical descent and racing position, he observed and was aware of all elements. We were thankful for his coaching so that we could put our energy into our race. This exhilarating day was complete with a trip back to Grand Hotel Riolo Terme to enjoy the hot thermal baths and spa facility. This was ideal for athletic recovery. The mineral water helps to promote circulation to remove lactic acid toxins from our tired legs. The hot followed by ice baths provide further recovery for the legs. A refreshing and relaxing end to an intense day! Following this, the ER press team joined back together along with the manager of the trip, Andrea Manusia. 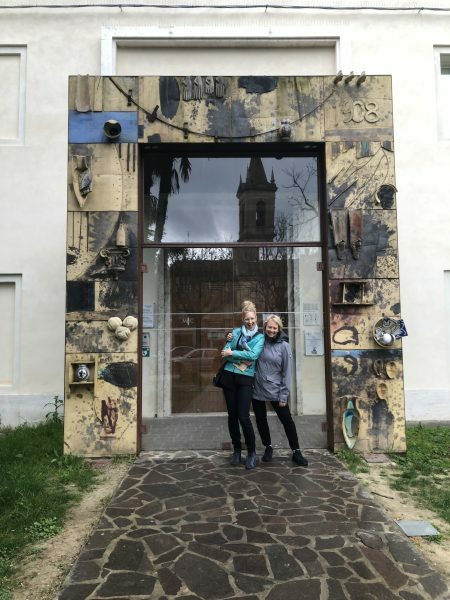 We had special reservations at the castle tower restaurant in downtown Riolo Terme called their Cantine Antica Grotta, to relive our experiences of the cycling adventure with delicious food paired with local fine wines. A magical day to celebrate. Our Italian bucket list adventure – truly transformative travel. Just amazing Jenny …..your ability to overcome the obstacles involved shows great inner strength and physical fitness……memories for a lifetime.